Why I love Evernote so much - for all my notes / journals keeping? I take notes extensively - round the clock, be it while traveling, watching movies, in middle of lectures, meetings, you name it, I take notes of things everywhere. Recently I touched 10,000 notes and it was becoming increasingly hard to manage those. Keeping all those notes in flat files ( Word files ) was making them useless as I couldn't search through them / edit them readily. I edit my notes extensively so it was crazy hard to achieve that in Google Docs as well as then you have unsegregatted notes spread across hundreds of documents. I used to use Catch app as well which worked nicely for segregatting the notes and it was easy to use but it shut down its services in ~2011 leaving me with a few options. That's when I started using Evernote ( started in 2011, turned premium a month back ) which turned out to be blessing. It was such an amazing app to use as it allowed me store thousands of notes including voice recordings, tables, images so that was pretty great and served my notes taking habit well. So what are some of the most appealing features of using Evernote? So let's say if you are writing on a particular topic and you are adding new points everyday and refining the writeup then it becomes important to see different versions of the same note and to see how the note/ your thought evolved over time. Evernote lets premium users access different revisions of the notes and you can rollback to any of the other versions of the note. Imagine having this feature for thousands of notes, it is truly a blessing. Apple notes doesn't have this feature and if by chance you change any text and navigate to the other note, the accidental changes you made can't be rolled back. So beware! Since I use multiple devices most of the times, I have to ensure that everything is synced all the time as I keep on taking notes in one of those devices at any given point of time (whenever required). Apple's Notes app is awesome but doesn't have a web interface and can't be used on android devices - so a thumbs down. Evernote can scan documents with ease and saves those documents in PDF Format which you can share using any social media platform / email / any other service. Since I use multiple devices ( macs, ios, android ), there are native apps for them so everything works out of the box. When I use friend's machines then I login using web interface which is equally powerful. 5. Web Clipper - AWESOME AWESOME! Suppose you read a lot of blogs and you frequently clip the webpages / copy paste the contents from the webpages then Web clipper tool is awesome for you as it has extensions for Firefox, Chrome, Safari and once you are done with installing them, you can clip entire webpage ( 2 modes - in identical formatting & simplified formatting ), bookmark it within evernote. 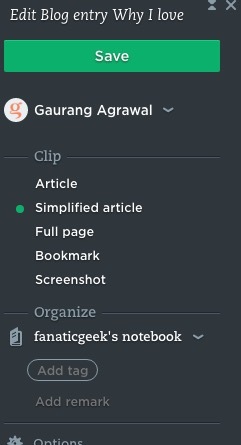 You can also tag those clipped webpages and categorise them for faster retrieval of content for notes making, reading. To get fully functional one month free premium account, register here. After one month if you choose not to renew the premium account ( which is the paid one ) - you will still get the basic evernote account and all your previous notes on evernote will be safe ( I tried that and all my notes are intact ). Access Evernote wherever you are. Take ideas into action with the complete Evernote experience. In a minute I lost all of my notes from my iCloud account ( was using Mac ) - thank god I instantly switched off the Internet of and moved notes from iPhone ( iCloud ) to local storage of the phone. More bullish on #Evernote than ever. Should you pay for the Premium / Window Seats in Airplanes? While boarding a plane or a train or even a bus, have you ever thought of getting a Window Seat? Just about everyone wants one for sure. If you have luxury of time, you can web check-in earlier and chances of getting a window seat gets higher. In case you are doing check-in late then you might miss all possibilities of getting a window seat -- reason being most of the good seats are already gone - so leftovers are either in middle ones or the aisle seats. Now even if you get the window seat by any chance, chances are there that those seats would be around the wing. Now sad part about having a seat near a wing is that it obstructs the view completely / partially (if you are super lucky). Now, either you would want the rear seats which gives you ample of view but they are least sought after seats - mostly because you receive refreshments in the last, there is enough noise because of the lavatory. My personal preference is to get the front seats ( 1,2,3,4 ) as they have zero-wing view which is great as then you can enjoy the view of nature outside, the clouds, the moon and other planes sights too which makes it easier for you to pass out time or go into dreamy land with lots of cotton clouds around. AirAsia offers you the 1,2,3,4 seats at a premium ( INR 400 - 650 ) which is not the case with other flights like SpiceJet, Vistara as although they are amazing carriers, their business model revolves around selling premium economy and premium seats which is not the case with AirAsia. Since I was sitting in Row 2, wings/engines were behind me - which makes things interesting for photographers. So if you are a travel freak and love to admire the nature around, I bet you would like to get a window seat in 1,2,3,4 seats which gives you the best possible view. pretty much. Also, I got priority check-in and express baggage checkout which was icing on the cake. So if you can afford to spend some extra bucks, absolutely try getting 1A, 1F as they have extra leg space or else target 2A,2F,3A,3F seats in the plane, most likely the AirAsia as you experience the premium without paying any premium amount. Branding means singularity. That helps people in identifying and forming the mental model to remember and relate things. Even for human beings, there has to be something which helps them in remembering things distinctly. For example, talking about Sergey Brin and Larry Page will you recall Google, Richard Branson links with Virgin Group, Bill Gates is all about Microsoft. So as an individual, focus on building your legacy. Invest all your years in your domain and become the top 1% in whatever you are pursuing. After 4 long years, I got rid of braces. Total amount spent : About a lac. Any major problem? Absolutely not. I always wanted a perfect smile but my teeth were irregular. The mental picture which I had of me was mismatching the reality. The teeth were somehow making my smile ugly so almost in every pic of mine, I have this straight face with a subtle smile. Things were insane but wanted to laugh out loud internally but never really laughed out like I should have. My first treatment started when I was 15 but after 4 extractions and 4 sittings, I was bored and exhausted of tooth extraction as dentist was pitching for 1-2 extractions and it didn't make any sense to me ( thanks to my ignorance about knowledge of dentistry ) and also it used to take me half hour to cycle to reach my dentist's clinic. So I quit with braces still placed for next 2 years until I somehow thought of removing them. Thereafter the second treatment in December 2013 which was such a distrastrous move. Things went well for 6 months and after that I moved to Ahmedabad for my new Job. And I was there for a year during between I did to-fro between Delhi and Ahmedabad 8 times and missed 4 sittings. I used to fly down / travel through train just for my dental appointment + meeting with family. It was exhausting and I didn't want to change my dentist due to investment bias and also because I think one shouldn't change doctor in mid of any treatment. One fine day I left my job and stayed there in home city for 6-7 months during which the treatment continued with lesser problems. 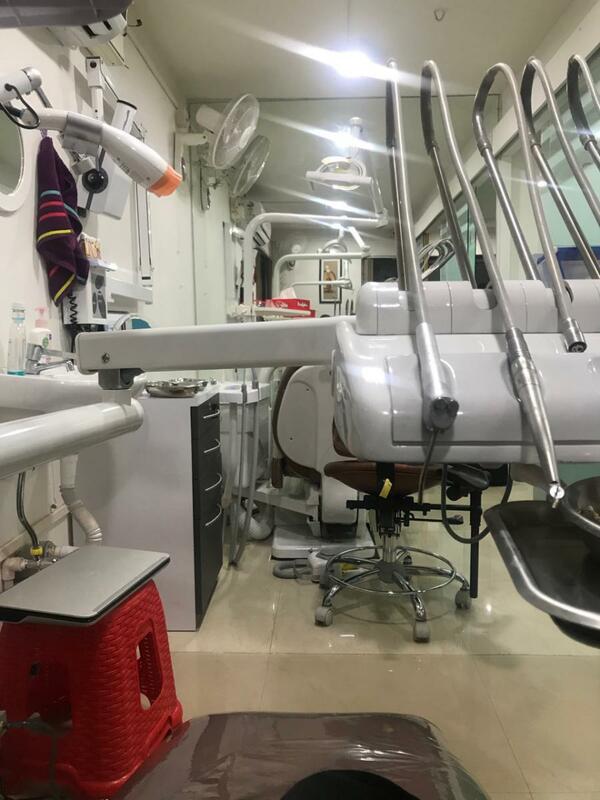 But then I moved again to Ahmedabad and this time it became harder for me to adjust with the travel exclusively for my dentist. I was losing my patience so I changed my dentist ( Third treatment ) - "Fine Feather" which is one of the best chains of dentists in Ahmedabad. My dental treatment continued and they were understanding and did well. After about 8 months, treatment was going good and according to them only 2-4 sittings were left. 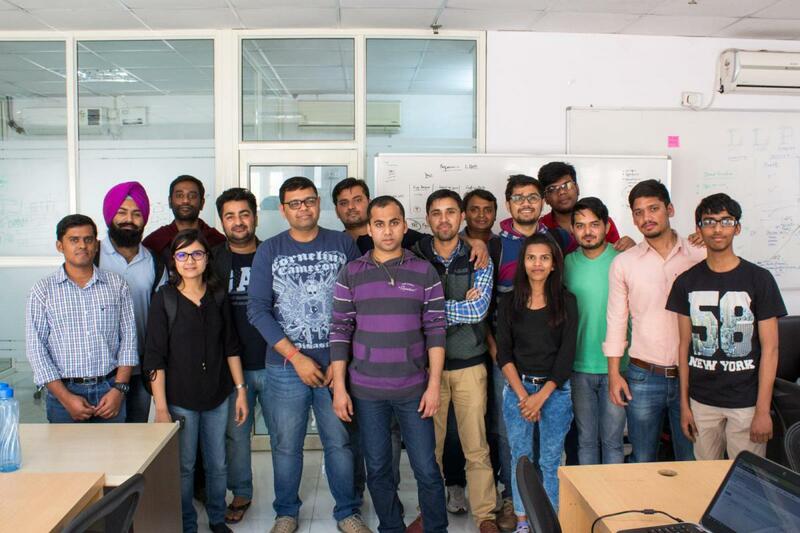 Somehow, I left my job again, and this time I moved back to Delhi. I did go back to Ahmedabad next month for my appointment ( basically flown down to Ahmedabad and came back by train to average the costs for 30 mins appointment ). Now, the work was getting crazier and I didn't have luxury of time to do this drama over and over. but still next month, I was all set to go to ahmedabad for my dental appointment but I got late and missed my train. What a relaxing feeling it was, to skip the 17 hours journey (one side) for that 30 mins appointment. I started talking to dentists around - to get different opinions. 2 dentists told me about the Open Bite I got because of some reasons ( perhaps while aligning the teeth, open bites is generally caused ). 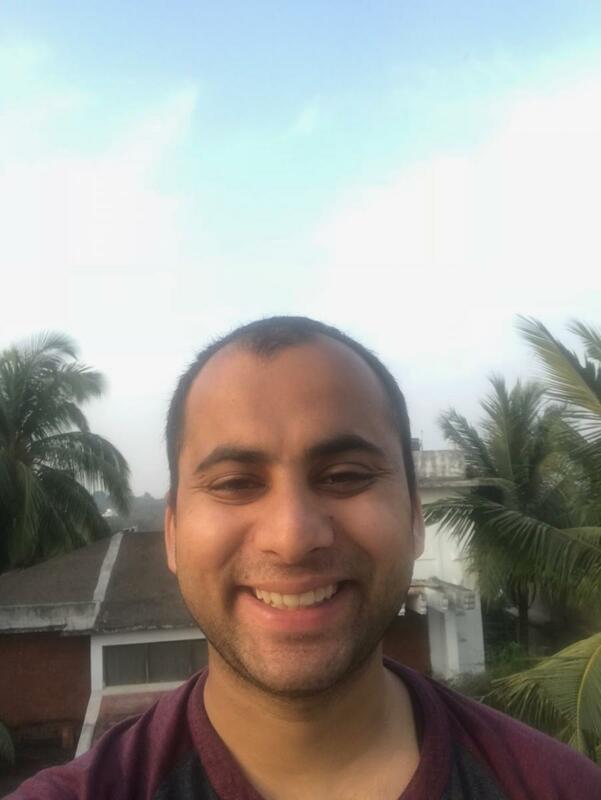 This time I chose Sudha Rastogi Dental College ( Fourth Treatment ) for my treatment and I was assigned a good ( sort of perfectionist dental/ ortho dontics student ). In about 6-8 months, she fixed the open bite. But while there were 1-2 sittings left for final touch, I was sent to Goa for official work for a month and somehow I couldn't fix an appointment just before the departure with my dentist. Since I had to interact with countless people for the event I was hosting in Goa, I thought of getting rid of braces there only. I googled and found Naik Dental Clinic ( Fifth Treatment - minor ) in Porvorim. The orthodontist had a pleasant personality and was very empathetic. He used to tell each step he was gonna perform and took time to listen to all queries I had. If you have any dental treatment due, get it completed in your school time or max college time. Delaying beyond that will cause you a lot of trouble as you won't have luxury of time ( I know the reason now - I should have been smart enough to do it ). Find the best doctor around - the one who is empathetic and can give you appointment time when you desire ( 2/5 times, my dentists were rude enough to not give appointment when I actually wanted ). Get tooth wax when you have braces, it saves chances of bleeding. Ensure that you get the treatment from a dentist preferably having chain around your city or state or country - depending upon your schedule in 1-2 years as if you will keep on moving around, you will have hard time getting appointment in the time it should be.